Bob Anderson started his career in the family business making hog food and dog food. One evening, while cleaning out a rail car full of feed ingredients, Bob said something out loud that sent him on a life long journey. Listen to Bob tell his story of how he got over the hump. 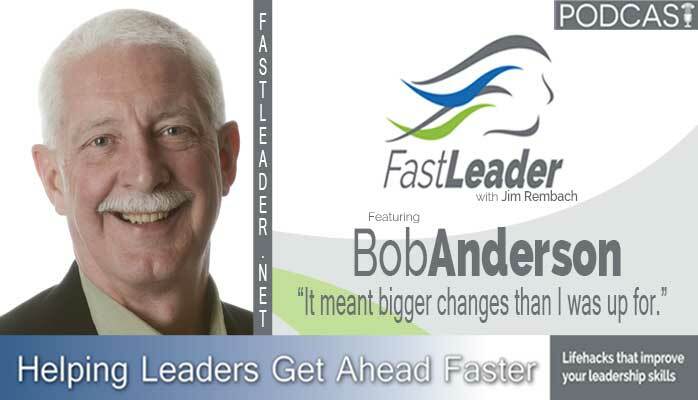 Bob was born and raised in Toledo, Ohio where he was born into a leadership context. His grandfather, uncles, one aunt, and father started a business—The Andersons (now a Fortune 500 company) with interests in grain, plant nutrients, ethanol, rail, and retail. On Bob’s other side of the family, his maternal grandfather was President of the American Medical Association and his uncle was a renowned Jesuit Moral Theologian. Bob often reflects and marvels at the perfection of the family into which he was born. Throughout his life, Bob has been passionate about one thing—the deep ground of being from which human greatness springs and from which great leadership emerges. This passion led him to study leadership, and his book Mastering Leadership is an integration and summary of his life’s work. For Bob, authenticity is the most influential human quality. He believes that the hardest thing to do is to tell the truth blamelessly and compassionately. This same challenge is one that he also knows can be very rewarding. Bob is the Founder, Chairman, and Chief Development Officer of The Leadership Circle. He is also the Co-founder and Chairman of Full Circle Group. Additionally, he is the creator of The Leadership Circle Profile, an integrated and innovative leadership assessment tool. Bob also serves as adjunct faculty for the Executive Education Center at the University of Notre Dame Mendoza College of Business. There he assists diverse groups of leaders in navigating their own leadership transformations. In 2005, Bob received the Partner in Innovation faculty award. Bob still resides in Toledo with his wife of 33 years, with whom he loves to travel the globe. He has three grown children. See through the illusion of trying to be liked and thought highly of. Courage to move forward in the face of not knowing how.